Our Expert Roofers Ensure Your Roof Coating Is Evenly Applied, Contact Us At Airborne Roofing. A newly installed or repaired roof increases the lifespan of the commercial structure significantly. When properly installed, a new roof or repaired roof is seamless and a great protection against weather and surrounding physical damages. However, without a coating, that can only last for so long. A roof coating is a layer of rolled or sprayed coating applied over a roof that further protects not only the property itself, but greatly expands the durability of the roof to increase its lifespan and further reduce damages that can occur. Without a coating, commercial properties run the risk of premature aging and quicker damage accumulated over time. 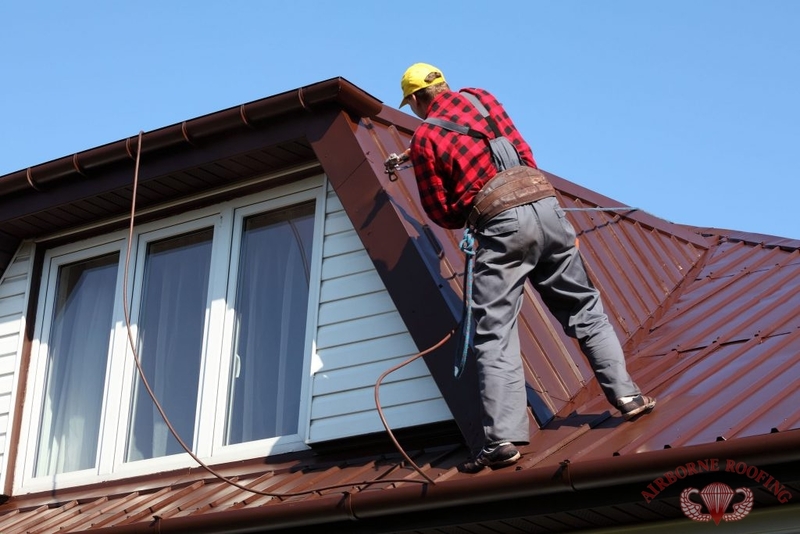 Have you recently installed a new roof or undergone a roof repair? Could your flat roof benefit from a coating? Contact us (856) 662-1382 for all our roof coating services in Berlin and Cherry Hill, NJ. Fibered Aluminum Coating: an aluminium-based coating that helps seal hairline cracks and gives off a shiny, reflective surface. White Rubberized Roof Coating: an acrylic-based coat that is best suited for flat or metal roofs. What Makes These Roof Coatings Exceptional? Our Roofing Experts At Airborne Roofing Will Give You The Perfect Roof Coating. 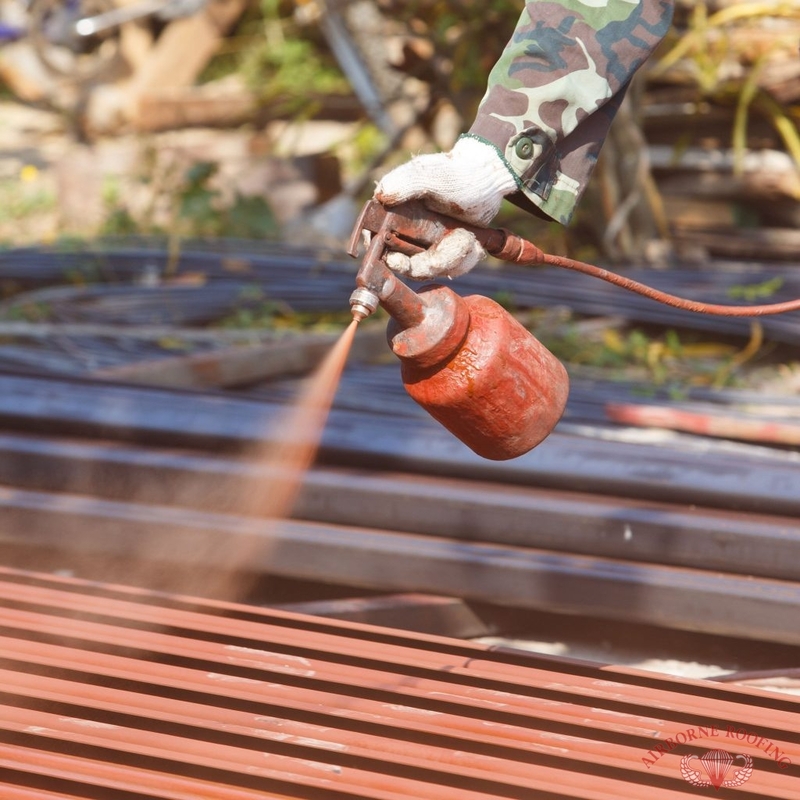 These special coatings are designed for specific roofing structures, so it’s best to contact a roofing professional at Airborne Roofing to assess which would be best for your roof. The coating can be alternated in application, and is typically applied in two layers with a 4-6 hour wait between to let the initial coat settle. Does your roof already have a roof coating? No problem, we can easily apply the new coating over your existing one, since the standard coating can start to wear away from UV and water damage. For a newly repaired or installed roof, it’s best to pair it with a new roof coating to ensure you get the best protection and extend the quality of life of your roof. Contact us (856) 662-1382 for your next roof coating in Berlin and Cherry Hill, NJ. Always affordable and fully insured, we’ve been serving South Jersey since 1968! Updated on September 21, 2018 at 2:41 pm by Airborne Roofing.